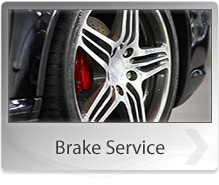 Ensuring your engine is up to par is an important component of a well-maintained vehicle. But you shouldn't trust your engine repair needs to just anyone! A&B Transmission & Service Center offers affordable engine repair services that are hassle-free and reliable every time. Contact us at 208-357-7665 or send us an email for more details! For belts and hoses maintenance and replacement services, visit A&B Transmission & Service Center in Shelley, ID 83274 today. Remember, working belts and hoses will lead to a properly working engine. To have a properly working cooling system (and thus a healthy engine), consider having periodic servicing of the parts that make up the system. At A&B Transmission & Service Center, we can service or replace (if necessary) radiators, fans, water pumps, hoses, thermostats and pressure caps. You can count on the experts at A&B Transmission & Service Center to help your diesel engine last a long time. This is where your truck's combustion of fuel occurs. The ignition, which takes place in a combustion chamber, provides force to the pistons, turbine blades, or a nozzle. The engine provides power that drives your truck. With a poorly operating engine, you will have a poor performing truck. 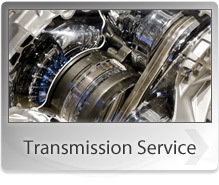 Visit A&B Transmission & Service Center in Shelley, ID 83274 today, to have all your engine needs addressed. At A&B Transmission & Service Center, we have engine specialists who will make sure you get the most from your truck's engine. To get the most from your truck, you need regular exhaust service. For exhaust repairs, exhaust modification, or exhaust replacement, call 208-357-7665 or visit A&B Transmission & Service Center today. If the water pump develops a leak or the hub becomes loose and noisy, you need to have it replaced. Faulty water pumps will lead to poor cooling of the internal combustion engine. To have faulty water pumps repaired or replaced, call 208-357-7665 or visit A&B Transmission & Service Center today.